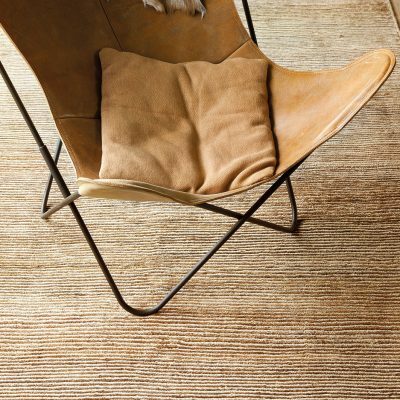 Wool Classics has been at the forefront of specialised contemporary floor coverings for more than two decades. Our business is our passion and the company philosophy is simple: to provide customers with an unrivalled, unique level of the very highest quality product and service for every project undertaken. Wool Classics manufactures the highest quality rugs and carpets for the interior design and hospitality markets and is favoured by designers worldwide. Our award winning products can be found in some of the world’s most beautiful interiors and our unrivalled attention to detail ensures that every project is delivered and installed to perfection. With demand for new and innovative ideas higher than ever, we continue to work closely with the world’s leading producers in the development of the finest quality carpets and rugs; whether for standard stock items or individual, tailored project orders, all products are manufactured to our own specific requirements. All Wool Classics carpets and rugs are manufactured using the highest quality raw materials in modern factories that comply with international standards regarding the environment and working practices. With our own installations division and management team, we are able to offer a fully integrated service for any residential or commercial project; this ensures all aspects of the installation process are controlled in house, from initial conception through to practical project completion and final client sign off. Our stock holding, distribution and sampling operations are undertaken from our Kidderminster based warehouse facility. Our sales, customer services and installation teams are located in our West London Head Office. Special requests and custom enquiries are handled through this office. All standard carpet and custom rug collections can be viewed within our showroom at Design Centre, Chelsea Harbour. The showroom is open Monday to Friday, 9am to 5pm, excluding bank and public holidays and no appointment is necessary.